Meetings are held: at the Veteran's Memorial Museum the first Monday monthly, 1800-2100 hours (6-9 pm); and in Palm Bay second Wednesday of each month (same times). Boating safety classes on Saturdays at two locations: (1) Palm Bay and (2) Port's Maritime Operations Center on Grouper Road. USCG Auxiliary's Division 17 provides more than 30,000 hours yearly in service to Brevard County's boating public, including: boating safety education and vessel inspections; marine observation patrols using our 5 Flotilla's boats and aircraft; search and rescue (every year, we save lives here in the Space Coast); watch standing and a wide range of other operational support missions, primarily to the US Coast Guard's Station Port Canaveral. Our 280 volunteers train, qualify and perform to tough and demanding USCG professional standards - the training is free, and it's the best. We invite new members - it's a great way to serve your country right here in Brevard County. 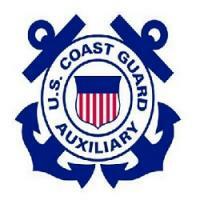 Our United States Coast Guard Auxiliary is the volunteer division of the U.S. Coast Guard. 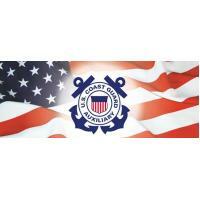 It was established by Congress in 1939 to assist in promoting boating safety. Nation-wide, we have nearly 28,000 members from all walks of life who receive special training so that we may be an integral part of Team Coast Guard. Our Auxiliarists assist in non-law enforcement programs such as public education, vessel safety checks, safety patrols, search and rescue, marine environmental protection and Coast Guard Academy youth introduction programs. Within Division 17, we donate more than 47,000 hours annually to benefit both the boating public and the U.S. Coast Guard. 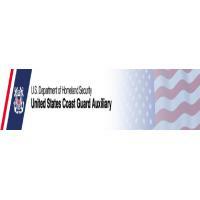 Coast Guard Auxiliary District Seven, Division 17's area of responsibility (AOR) includes the Indian and Banana Rivers, as well as the lakes and rivers of Orange, Osceola, Seminole and Brevard Counties. We also patrol Port Canaveral, and our service area extends into the Atlantic when tasked by USCG's Station Port Canaveral, or by Sector Jacksonville. Our Flotillas routinely present public boating safety classes, perform courtesy vessel safety checks (VSCs) , visit marine dealers, performs safety patrols afloat and ashore, augment active duty personnel where needed, and support a wide range of other missions as directed by the Commandant of the U.S. Coast Guard. We are always looking for new members to get involved in our Prevention and Response missions. 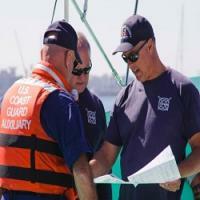 We offer professional training to US Coast Guard standards. 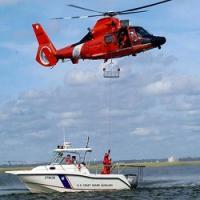 We wear the US Coast Guard Uniform with pride.